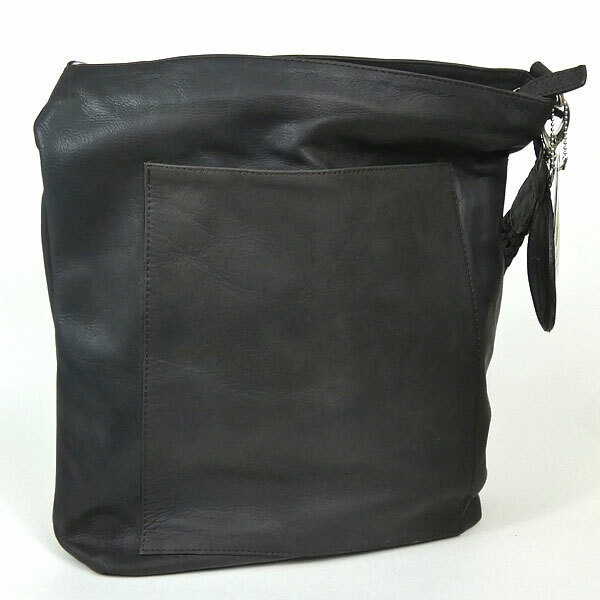 A fully lined, large dark brown matt leather bag designed and handmade by SACCOO in Amsterdam. The strap of the bag, which is held to the bag by strong clasps is made from interlinking leather strips which give the bag a distinction and strength. At the front of the bag is a large, lined, open pocket. At the back is a larger lined pocket which is closed by a zip. Inside the main part of the bag, which again has a zip closure, is a cotton poly lining in a warm gold-beige colour. The well designed pockets, which have leather detailing, are placed to one side. At the top is a zipped pocket, underneath which is a larger pocket with a clasp. Underneath again, to the left side, are 4 card pockets; at the centre are 3 pen holders and to the right is a mobile 'phone holder. ; to the side is a leather cord with a clasp for keys. The depth of the bag is approximately 33cms. in depth, narrowing to 31.5cms, 33cms in width and 4cms across the bottom. 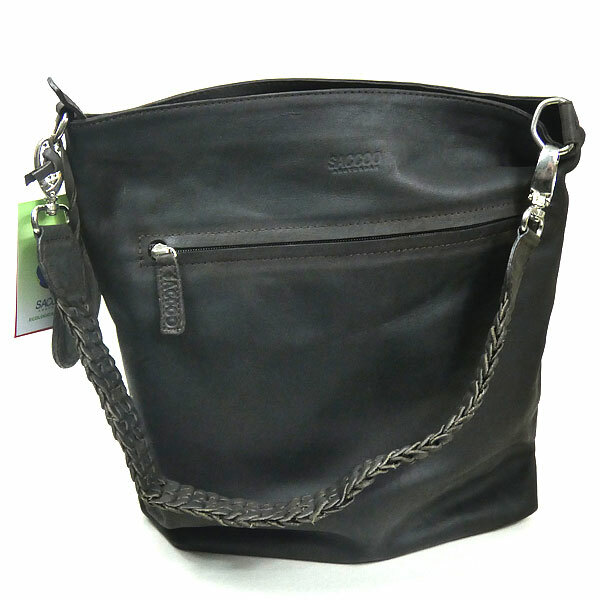 This beautifully made bag is one of the SACCOO Collection which is new to KIENA Online Store. SACCOO leather is selected for strength, its grains, character and tactile quality. The leather is softened and enriched by being rotated in drums and tanned using special barks and juices of trees. To finish different polishes and oils guarantee a variety of colours and hand feel. Only natural dyes are used in the production of the bags which give an eco-friendly alternative to synthetic dyes. Leather is a natural product and no two grain patterns are the same so your bag will have a unique quality.